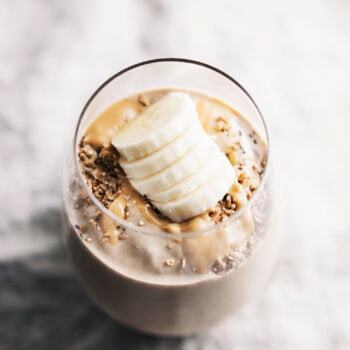 This thick and creamy chocolate peanut butter banana protein shake is satisfying, absolutely delicious, and tastes like a healthy milkshake! Made with 5 plant-based ingredients and is filling enough to be a meal. 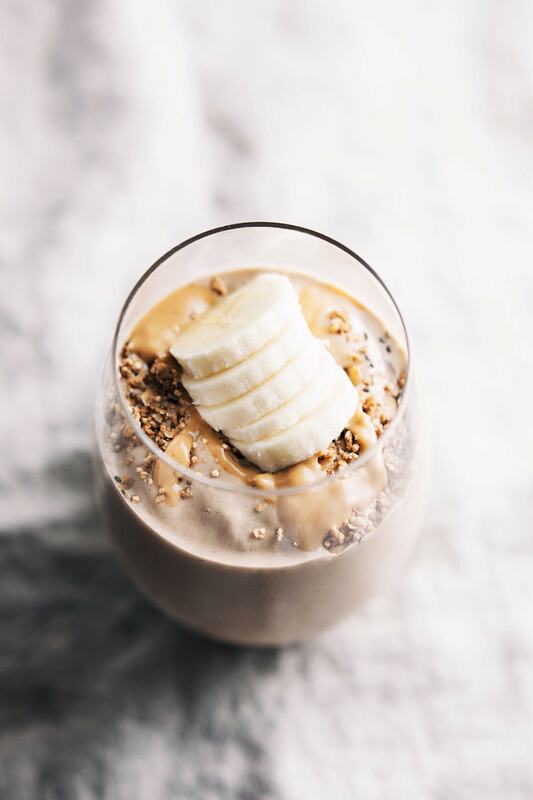 First things first – Chocolate Peanut Butter banana Protein Shake is SUPER creamy, perfectly sweet, and tastes like a healthy milkshake. 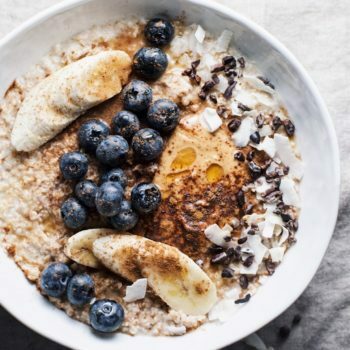 It will keep you full for a long time and has a delicious taste! All you need are a handful of ingredients and a blender. 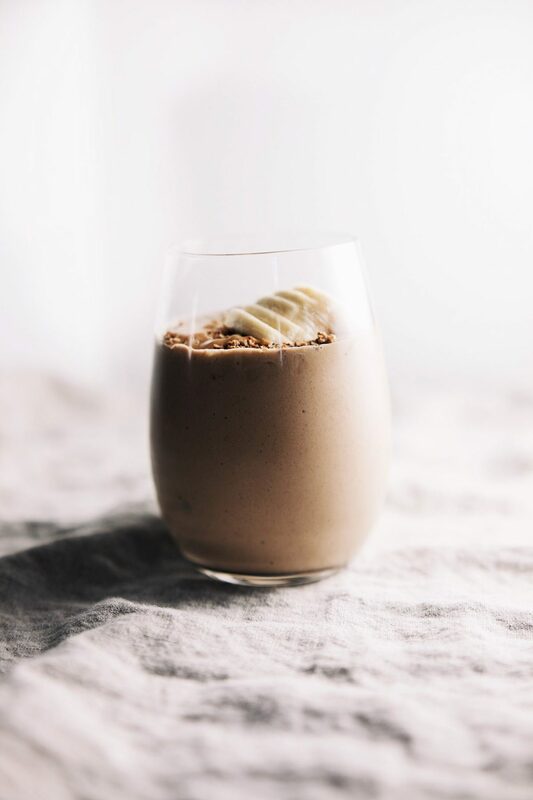 This is a protein shake I drink almost every day after a workout – it’s excellent for a workout recovery or muscle building. Use frozen bananas – This will make your protein shake thick, creamy, and “ice cream” like. I recommend not freezing a banana whole – slice the banana then seal in a ziplock bag and freeze. Last, add a pinch of cinnamon or nutmeg to your shake for a little extra flavor. 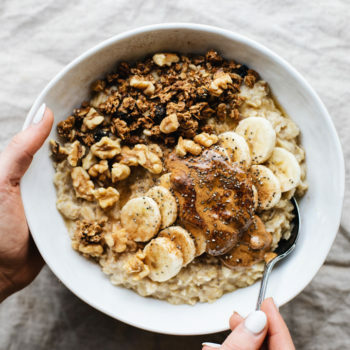 What Blender To Use for This Peanut Butter Banana Protein Shake? Most importantly, I love using my Vitamix for my protein shakes – it’s high-powered so it easily breaks down frozen fruit well and gives my smoothies/shakes a creamier consistency. Thick and creamy protein shake that takes 5 ingredients, is super thick and creamy, and filling enough to be a meal! Add cinnamon, peanut butter, and protein powder. Blend on high until creamy and smooth. 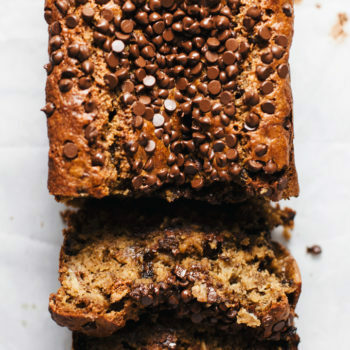 Pour into a fancy glass, drizzle peanut butter on top, and enjoy! For this recipe I use Vega Protein Essential Shakes. It's the BEST tasting protein powder, has no artificial sweeteners and is made with all plant-based ingredients. This shake is delicious!! So filling and love how clean it is – thank you! It’s my everyday necessity! So glad you like it! Thank you so much! It really is the best protein powder!